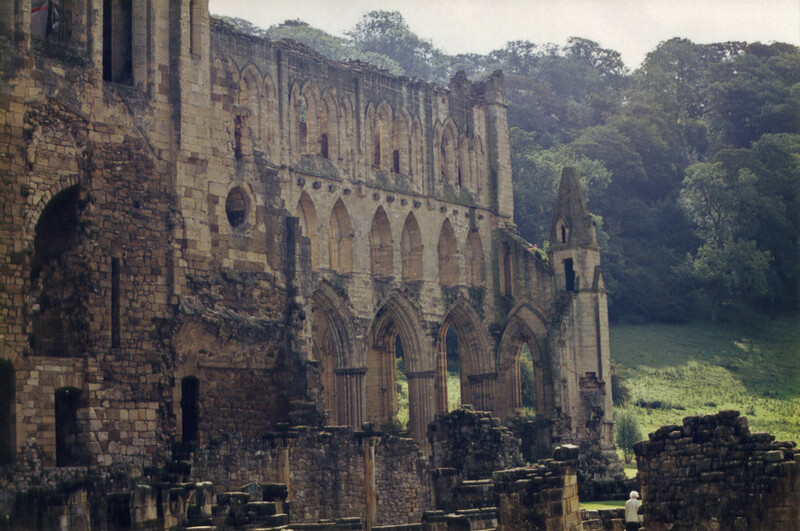 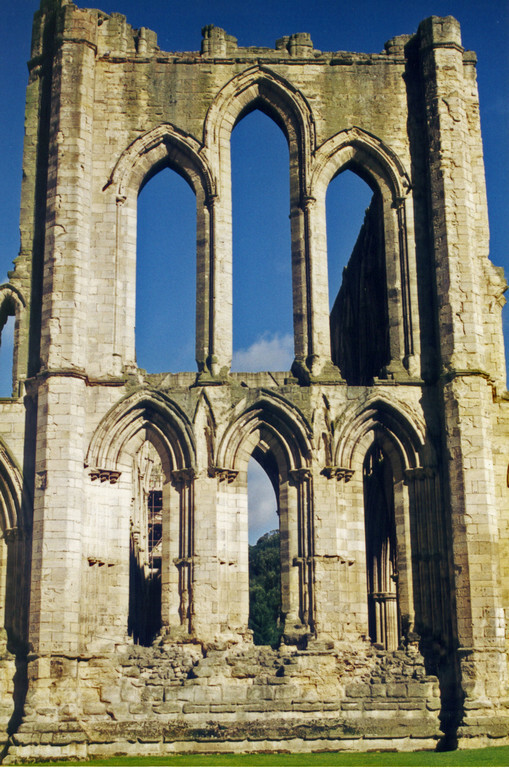 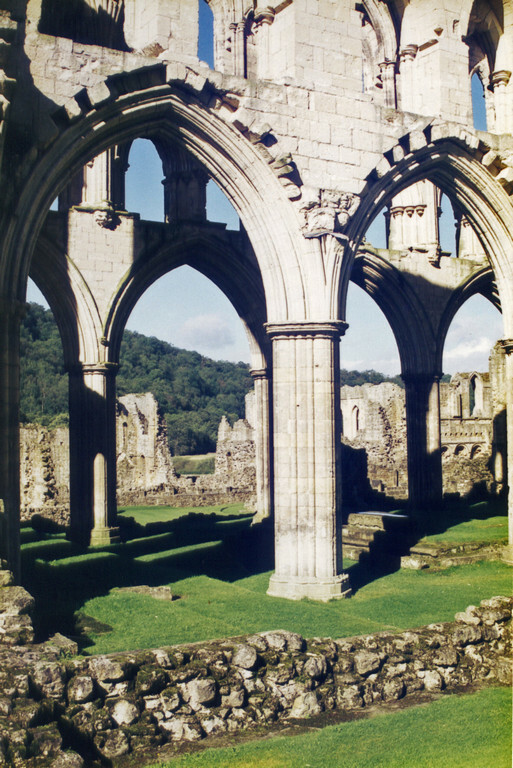 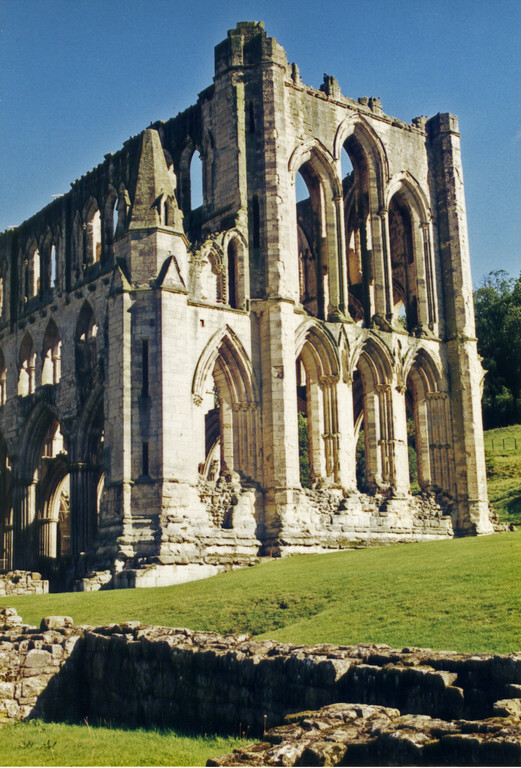 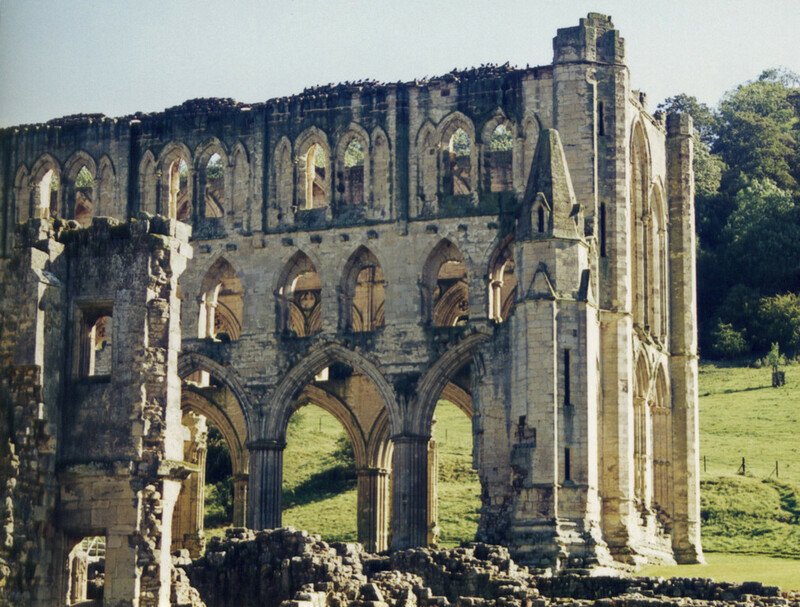 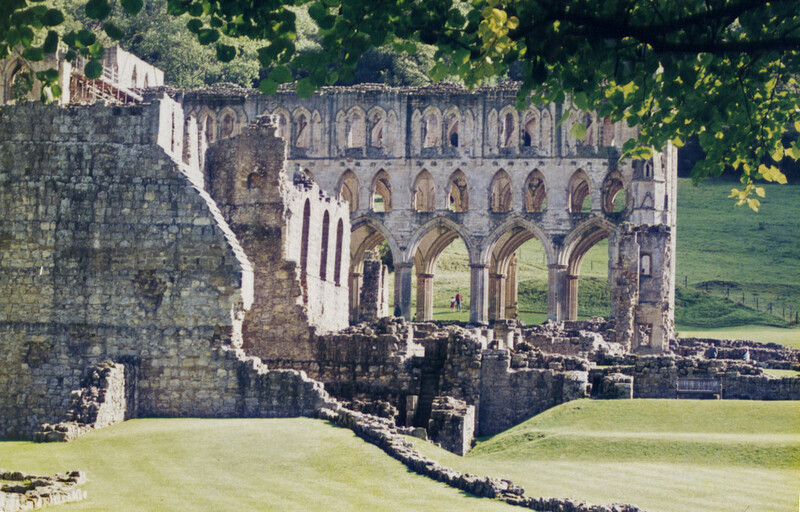 Heading north from York, we spent some time in the ruins of Rievaulx Abbey, tucked into a valley on the edge of the North Yorkshire Moors. 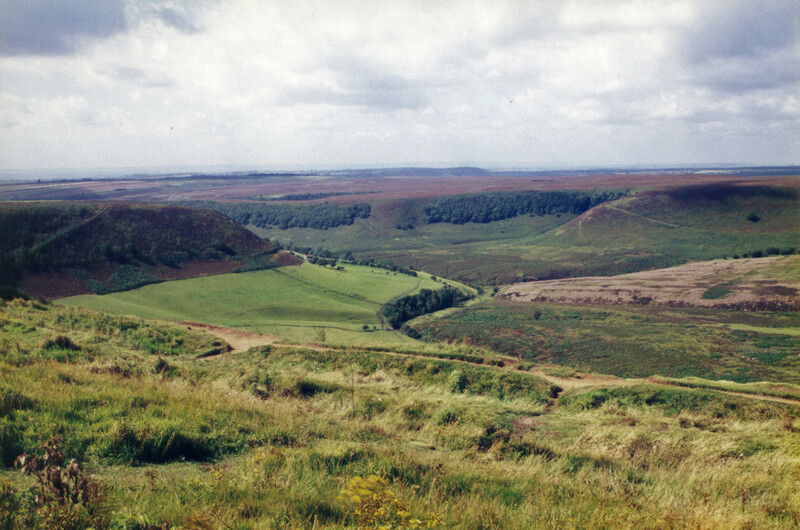 View over the North Yorkshire Moors. 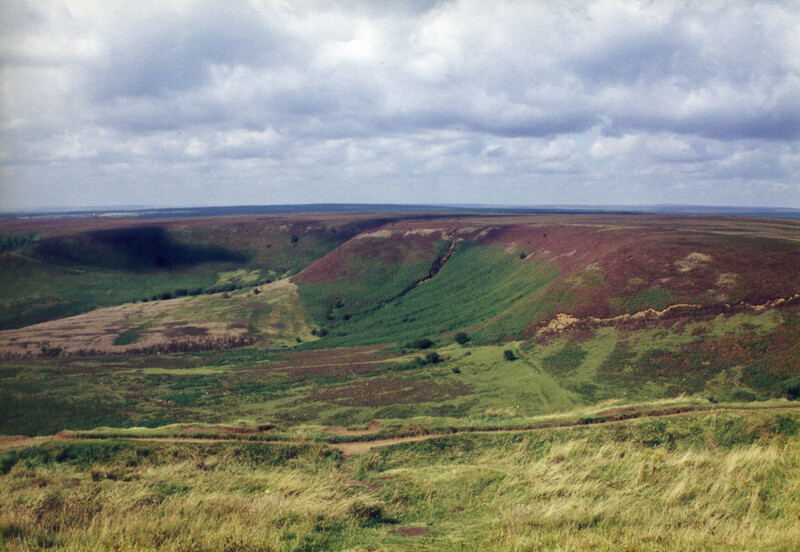 The Hole of Horcum on the eastern edge of the North Yorkshire Moors. 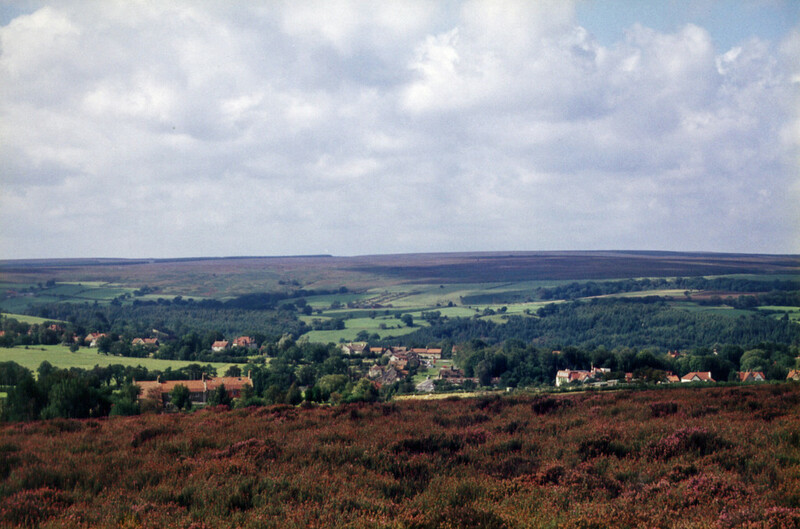 The village of Goathland, which was used as Aidensfield in the television series Heartbeat. 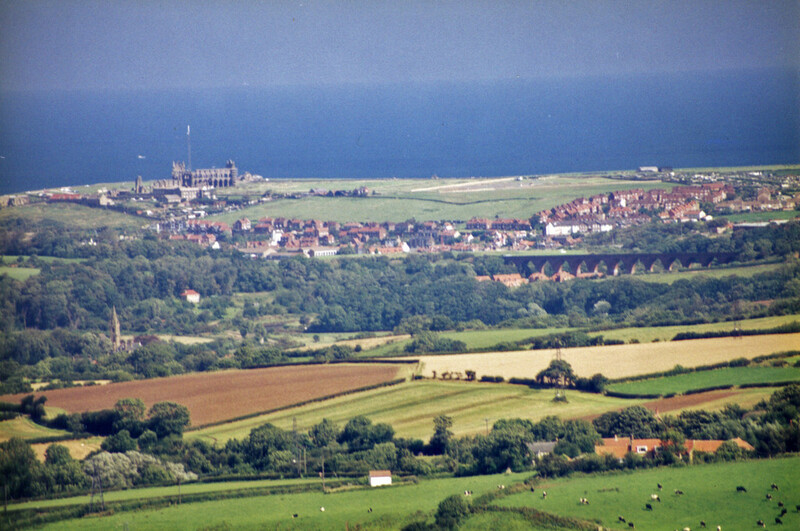 Looking towards Whitby, with the ruins of its abbey on the cliff top. 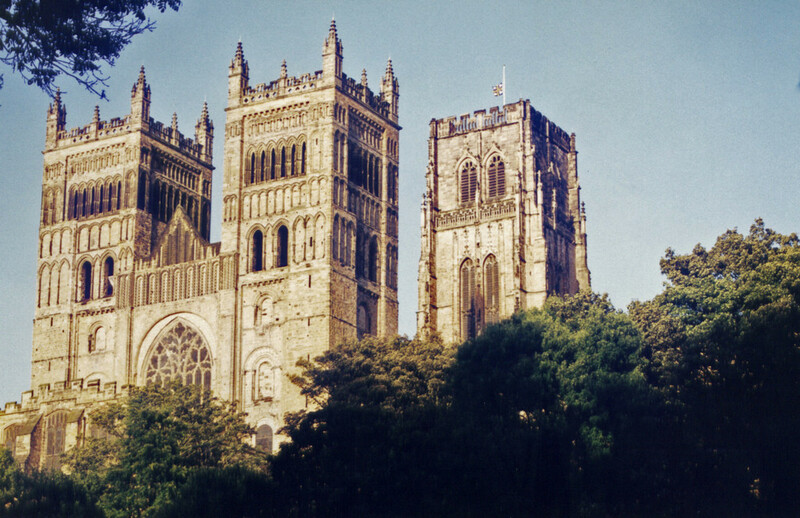 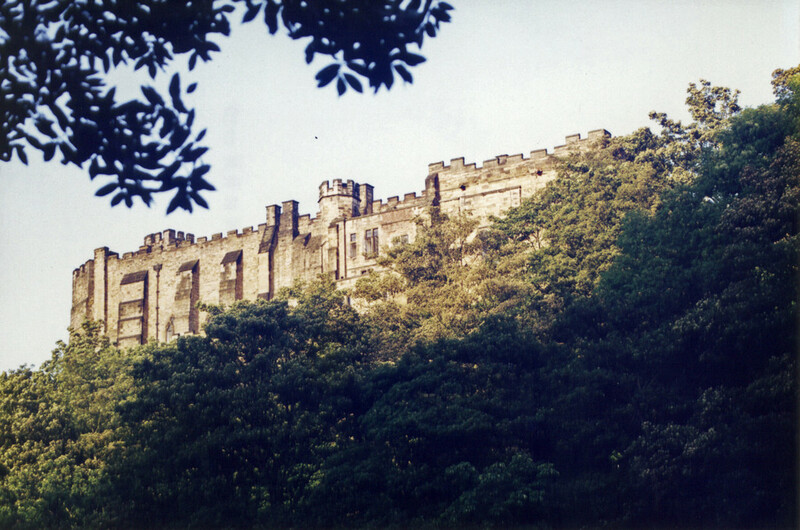 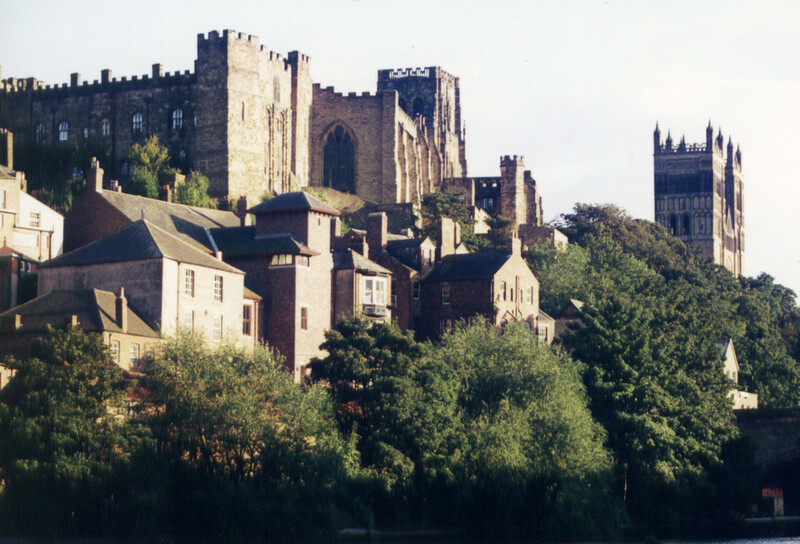 The castle and cathedral of Durham, towering above the river. 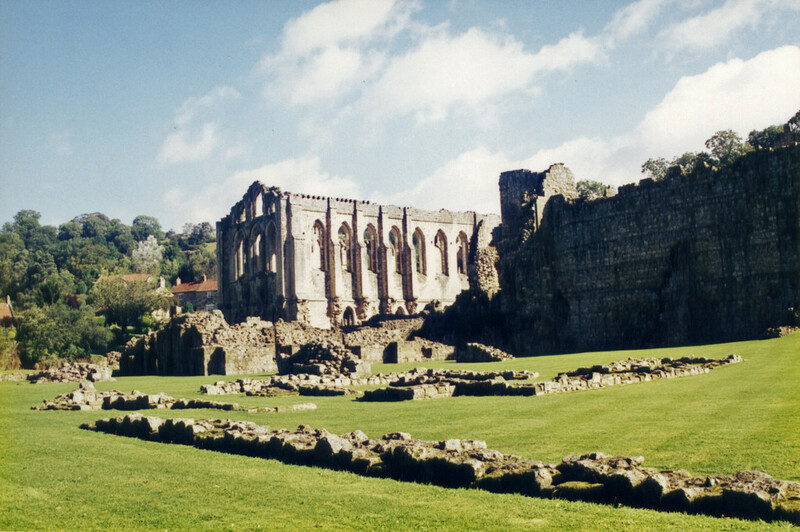 Then northwards again to Balloch. 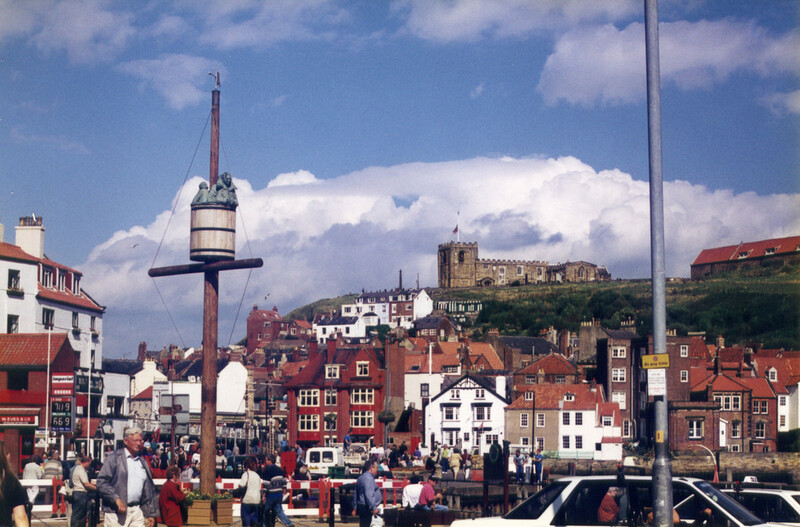 Copyright © 1997 by Lynn or Nick Booth.